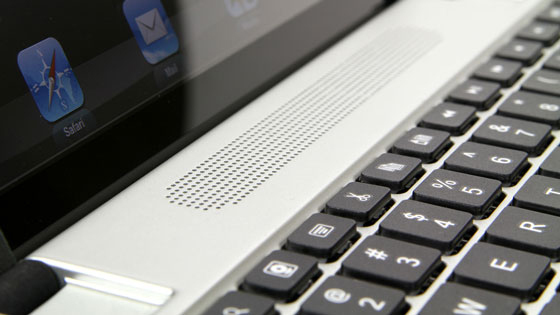 Logitech introduced its second trendy folio-type keyboard for the iPad called the FabricSkin Keyboard Folio, which is an extremely slim package featuring a near-flat keyboard that is seamlessly fused into the folio cover a la Microsoft's Touch Cover for the Surface. A magnetic clasp closure keeps the folio cover closed, and various other magnets allow the FabricSkin to form into a stand as well as serving as an auto wake/sleep function for the iPad. The keyboard itself connects to your iPad wirelessly over Bluetooth and features a full-sized key layout for a comfortable typing experience. Not to be confused with the touch-sensitive Touch Cover for the Microsoft Surface, the FabricSkin keyboard is covered with a special fabric that lets you type with tactile feedback which Logitech claims nears a laptop typing experience. 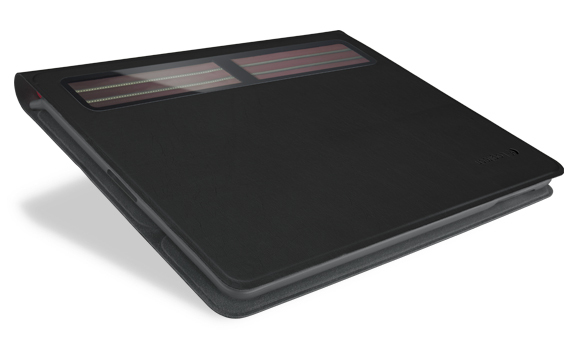 Both the interior and exterior of the FabricSkin Keyboard Folio is protected using a liquid-repealing coating for extra durability. The skin tight material covering the FabricSkin Keyboard Folio varies with the style and color that it's available in, a mix between matte leather, cotton fabric and durable rubberized materials. 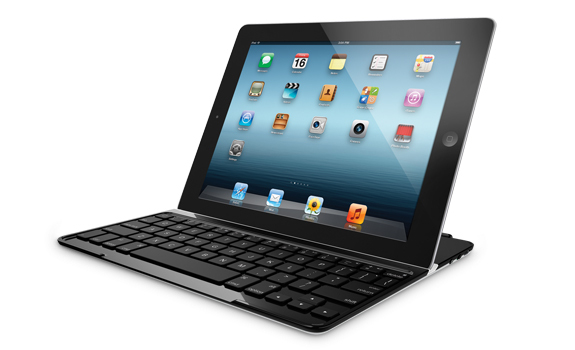 Logitech's FabricSkin Keyboard Folio is compatible with the iPad 2, 3 and 4, has a built-in rechargeable battery with up to 3 months of battery life and will be available in the USA and in Europe in May. It'll retail for $150, and you can pre-order yours starting today. 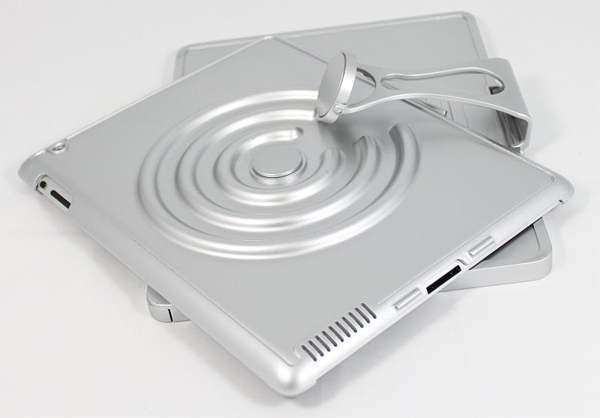 It's about time other tablets other than the iPad 2 get showered with some loving accessories like this one. The Logitech Keyboard Case for the Samsung Galaxy Tab 10.1, a Bluetooth keyboard case that props up your Tab so you can type away in either landscape or portrait orientations. 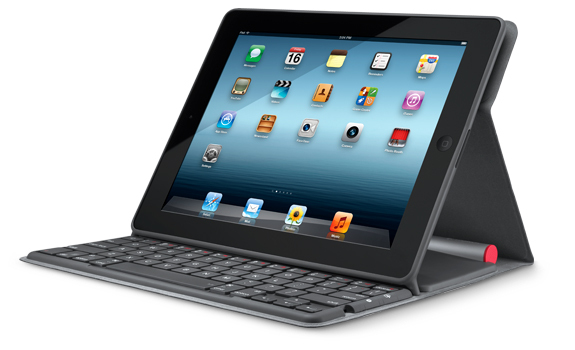 Oddly enough, it's made from aircraft grade aluminum, clearly Logitech still has strong feeling for the iPad 2. 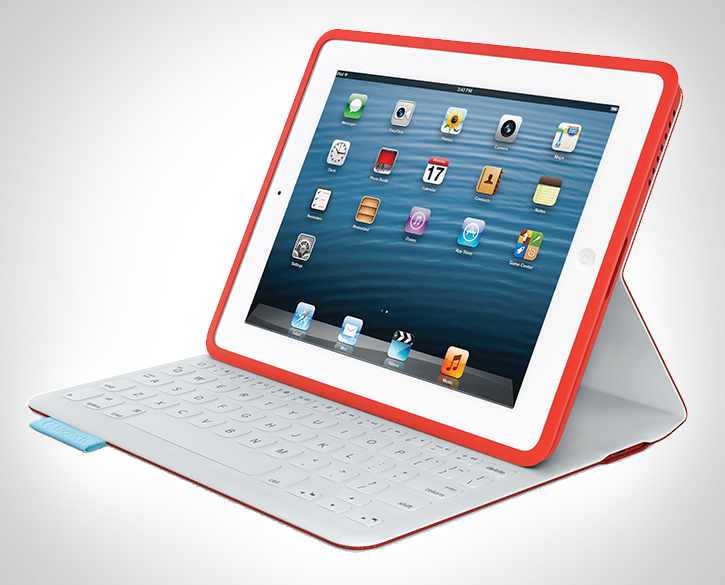 Nonetheless, the Keyboard Case for the Galaxy Tab 10.1 is available right now for the taking at $99.99.